Reality is often stranger than fiction. I was made aware of this old proverb after publishing my blog entry on the enigmatic and fascinating Rudolf von Linauer this summer. 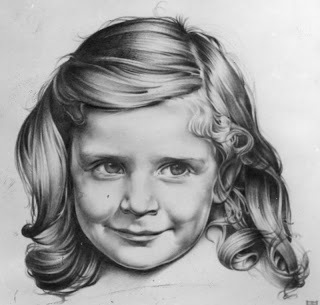 With the help of some friends I traced one of Linauer´s daughters, Kristina, living in Stockholm. She has kindly lent me photographs, drawings and other documents relating to her father. I first called her on the phone, August 30th, and we have been in constant contact since then. Half an hour after my first talk with Kristina an email dropped into my mailbox. It was from a lady, Monika, in Florida. She had discovered my blog entry on Linauer and was very glad for the information because she also was one of Rudolf von Linauer´s daughters. Monika had for years been trying to find data on her father. I must admit this was like a perfect synchronicity á la Carl Gustav Jung. For some weeks now Kristina, Monika and I have been exchanging data on their father and much new information has come to light. I will try to present a brief summary of all the new data. Rudolf von Linauer was married in Stockholm 1939. 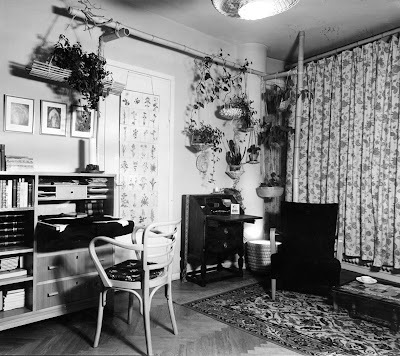 His wife Ebba gave birth to a daughter, Kristina, in August 1940. Rudolf moved to California in 1947 and the marriage ended in divorce 1948. Kristina was only seven years when her father left and has not so many memories of him. Her mother Ebba died in 2007. She related to Kristina about Rudolf´s experiences in Tibet but she was skeptical of his tales. 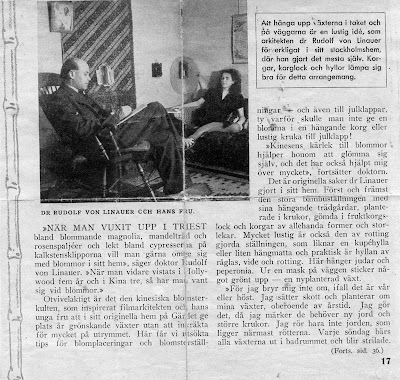 An article and interview with the Linauer family was published in the Swedish magazine Idun 1941 with photos of their home in Stockholm. In the Idun article Rudolf von Linauer is presented as film architect and he relates spending three years in China doing historical documentaries for Metro Goldwyn. Much of the article is a presentation of the unusual Chinese flower decorations and furnishings in the apartment crafted by Rudolf. "The Chinese love of flowers helps him to forget himself and it has helped me on several occasions". He prefers China because of its culture but regards America as the land of possibilities. 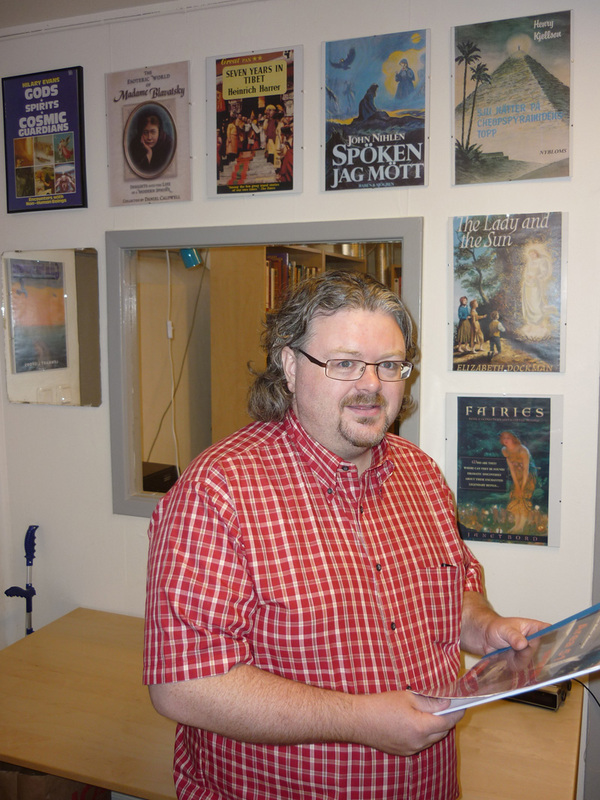 Rudolf left a home in Berlin because of the war and he appreciates that Sweden has given him a refuge. Kristina has lent me some drawings made by his father. He was obviously a very talented artist. Monika was also born in Stockholm in 1940 and she had heard rumours of a half-sister but was never able to locate her. 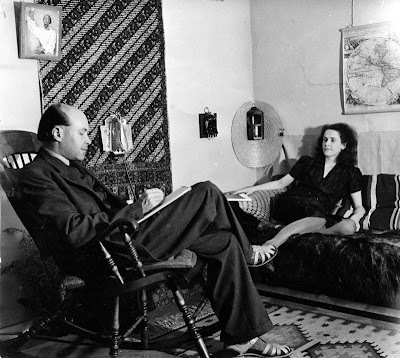 Monika was the result of Rudolf´s secret love affair with another woman, Hildegard, living in Stockholm. Because of my blog Kristina and Monika are very glad to have finally made contact. Monika has several old letters from her mother where she tells of Rudolf´s travels in Tibet. She also talked to and has several letters from her father. In America he changed his name to Roy Rulin and married a woman named Madalyn in 1952. They had two daughters. Rudolf von Linauer died in Los Angeles 1966. Because of all the new data I am now trying to find documentation verifying the Tibetan travels. Hopefully some of the clues will yield result. 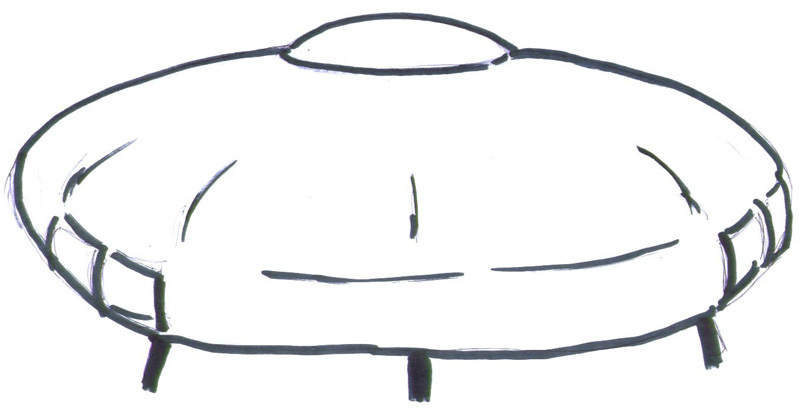 Another fascinating co-incidence is that Monika had a close encounter with a UFO in 1959 or 1960. 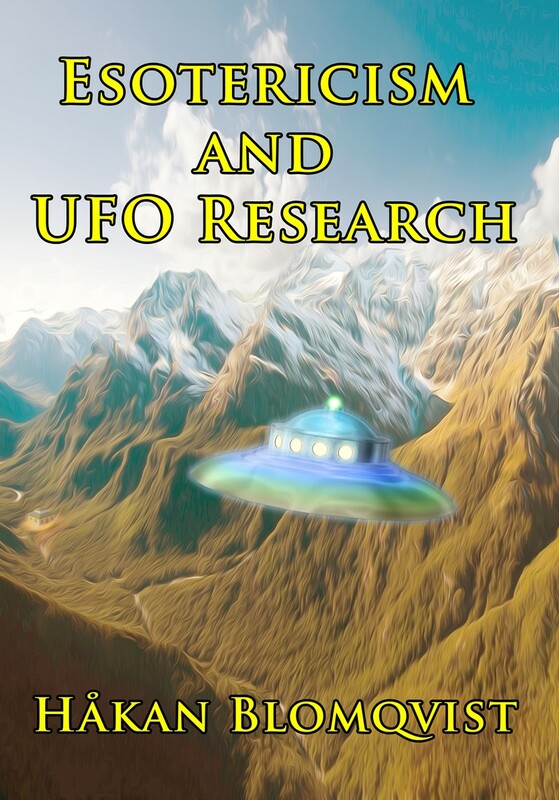 "The UFO experience I had was when I was in College 1960 or thereabout. I was driving from my mother's house in Connecticut back to my college in Massachusetts on a stretch of road/highway that had two lanes and was deserted of other cars at 1:00 in the morning as it was. All of a sudden on my right and out of the passenger side window, I could see on the open field an enormous amount of light. So enormous... it was blinding. A lot of light and flashes of light were coming from below as well from all around whatever it was. I immediately pulled the car over and stopped on the side of the road, right by it. I opened my door and stood there in amazement. I walked around the car to the side of the road so as to be standing right in front of it. 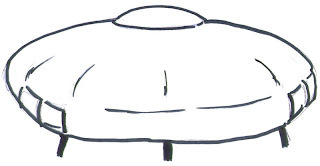 I was looking at an oval - flat but not completely flat - big object. The light was all around the right side and around the left side. Also light radiating from it toward the back and light underneath. It was now sitting on legs - not tall legs, more medium to short leg length - so the light, bright before, was not as bright as it was when it was coming down onto the field by the highway. I stood there and IT stood there. We stood together for sometime...I have no idea how long....but I just starred. Now when I think back I remember shadows inside....but no one or anything ever came out. IT stood there and I stood there and I was absolutely fascinated and fearless. After a time it lifted off right in front of me and away it went. It left me standing there and did not leave in a hurry or with a thrust into the sky - it gently took off on a bit of an angle. As it left the angle became more of an angle and up. I returned to the car and all I can say is that it was one of those experiences that I instinctively knew I could not tell anyone, no one would believe me. I was amazed and deep in a thoughtful cloud of closeness to whatever this was, for years. I never once doubted what I saw, how long we stood there together, where it was and how it all looked." The distance to the object was not more than 30-40 feet, according to Monika. "As for dreams or a psychic experience I do not think so. I am a pretty realistic type person." Speaking of Jung and synchronicity, the Evans library is now getting more and more in order. Last week every book in our classification system P (paranormal phenomena, parapsychology, occultism, Theosophy, Spiritualism) had been cartalogued by the AFU team Katarina, Ingrid and Anders. As for Jung and Freud we have all their collected writings. 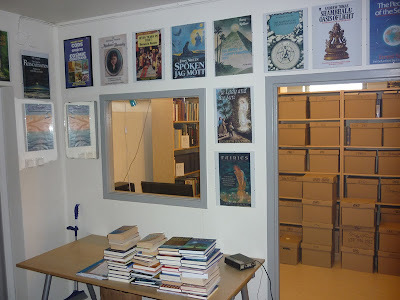 My part of the project has been decorating the Evans library with various illustrations and photos. Tobias Lindgren, head of UFO-Sweden´s reporting central, is living right above the library and he often drops in for a chat. "I believe it is the Russians"